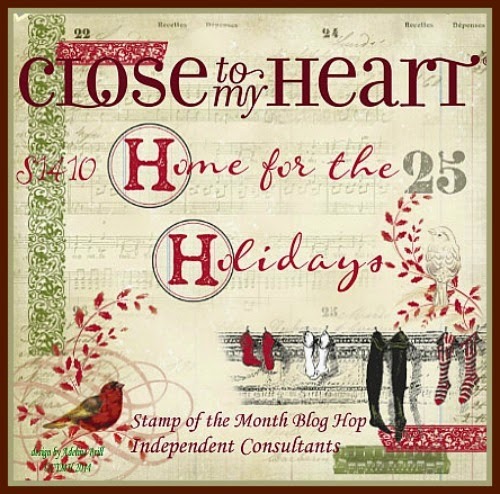 I am so excited about this month's stamp of the month- Home for the Holidays. 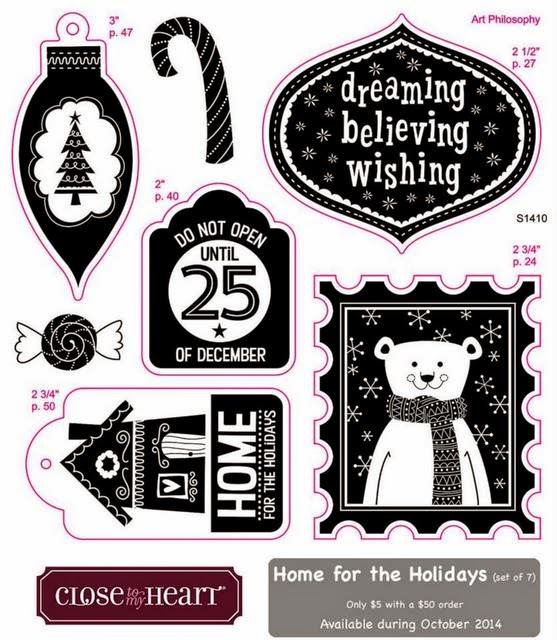 I am glad you've stopped because you're sure to find TONS of great ideas for holiday projects, gifts and pages. Are you coming from Cat's Blog? I'm happy to have you! If you are just joining the hop here on my page then you'll find the next link at the bottom of the page. First up: a photo of the set and a reminder that you can purchase it for $17.95 OR ONLY $5 with a purchase of $50 or more before shipping and tax. I created two different projects this month. First: This card. 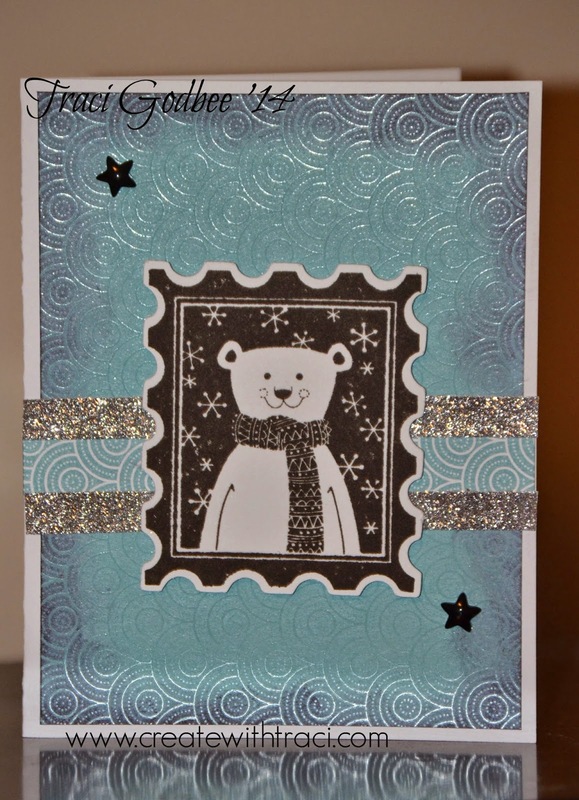 I used some of our Fundamentals paper from the Whimsy collection. Our Fundamentals paper is super cool because it has a UV embossed coating. It's so easy to create different looks by sponging ink to help the design "pop". Click here to see the different varieties of Fundamentals ( I used the whimsy asst.) that we carry. Black stars are from the Scaredy CAt assortment. Hope you love my ideas- up next hop on over to Michelle's blog to see what she's created. Sponging on the fundamentals totally gives it a different look. 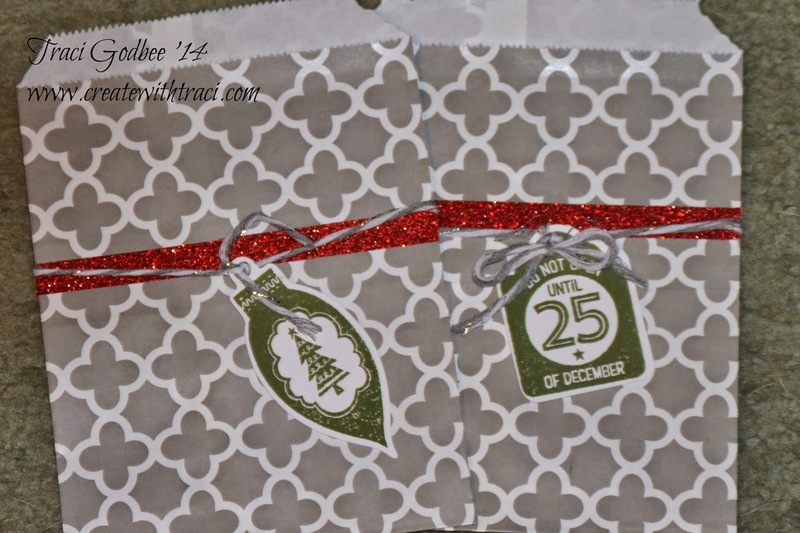 Love your card and the gift bags! the fundamental's papers sure do add a fantastic effect! The sponging on the Paper Fundamentals makes it look mirror-like. Wonderful. I just love the look you gave the Fundamentals paper with the sponging! So clever! Thanks for the inspiration! I love the effect of the sponging on the fundamental paper. Fantastic job.